Dabong, 30 July 2018 – USR Razak: Adopt a Kampung Team had a follow up session with STEAM Fun Learning Toy Library (FLTL) first cohort of pre-school students. This First FLTL was successfully set-up on 26 February 2016 and handed over to the school principal of Sekolah Kebangsaan Kuala Geris, Dabong, Kelantan. Every year the team made a follow-up visit to the school to collect feedback, assess impact and monitor the implementation of the FLTL. This year the team is fortunate to get sponsors for two visits to the premise. The most recent visit was on 30 July 2018, whereby USR Razak: Adopt a Kampung Team was able to kill two birds with one stone – data collection at FLTL and motivation session with Primary 6 UPSR candidates. To follow-up on the products of our first FLTL, we gathered 7 of the first cohort of young kids who are now in Primary 2. The session with them included a parallel focus group discussion; a male and a female group. The team also meet up with the 2018 batch of pre-school students from two classes and collected data via interview with the teachers and teachers’ observation checklist. Concurrently, our annual motivation session for Primary 6 UPSR students was carried out in the primary school classroom. 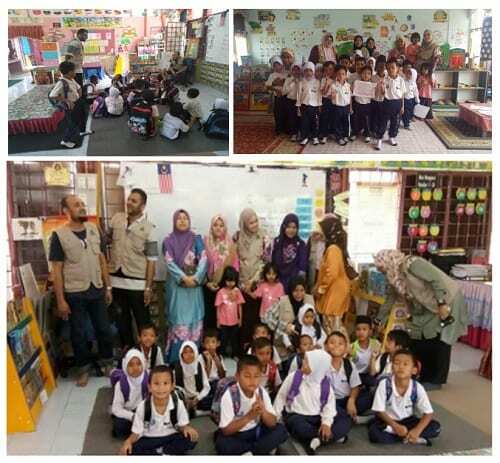 This follow up program involved 4 pre-school teachers, 49 pre-school students, 62 year 6 students, and 7 members of USR Razak: Adopt a Kampung Team from Razak Faculty of Technology and Informatics. The half-day program that was conducted at this school was headed by Dr. Habibah @ Norehan Hj. Haron. Meanwhile, the motivation for year 6 students was given by Dr. Rasheed Mohamed Kutty. Tracking back the origin of this USR team, it started from the catastrophic flood that struck Kelantan in late December 2014. The team selected Kuala Geris as the starting venue for its USR work because of its location in the rural area and the least attention that they were able to get from other groups to help them face the trauma and repair the damages at the school. Observations and reports given by the headmaster indicated a high number of absentees especially among pre-school students due to the trauma as a result of the flood. 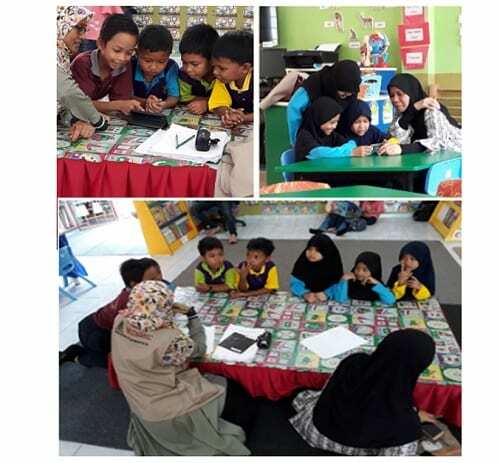 Therefore, the USR Razak: Adopt a Kampung Team built a fun learning environment, i.e the fun learning toy library, at the pre-school (2 classrooms) to motivate them to attend school and to inculcate interest in STEM education.